This is so fun. 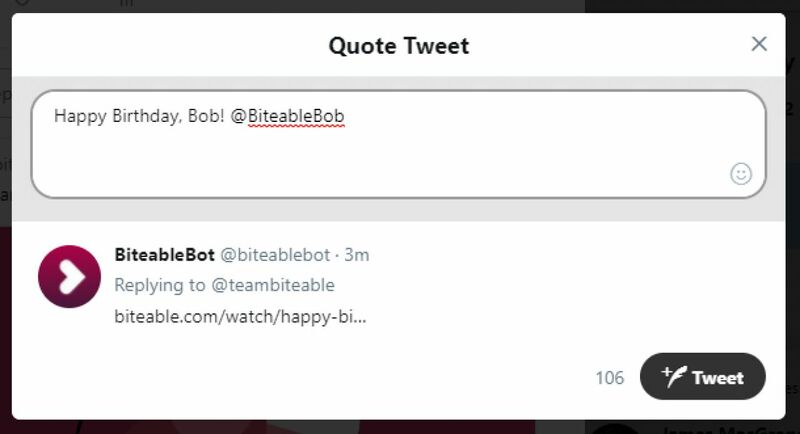 If you mention the BiteableBot (@biteablebot) in a tweet, it’ll tweet you back with a short video with the text from your tweet. You can then retweet to send it to a friend! 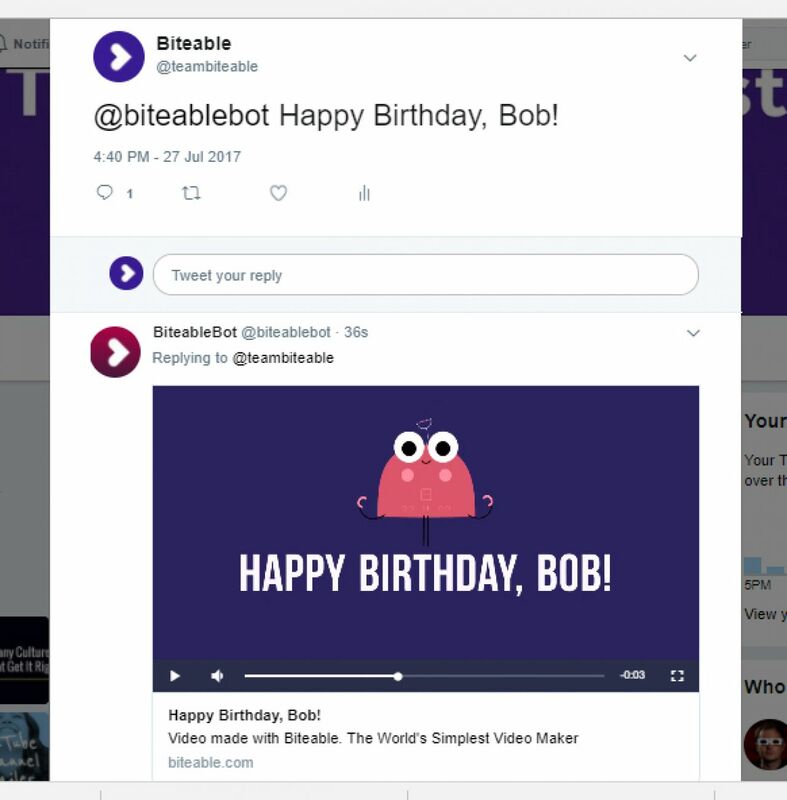 For example, if you tweet “@biteablebot Happy Birthday, Bob!”, you’ll get a short, animated video saying “Happy Birthday, Bob!” You can then go to your Tweets and replies tab to retweet the video to your friend Bob. 1. Fill in your text message. 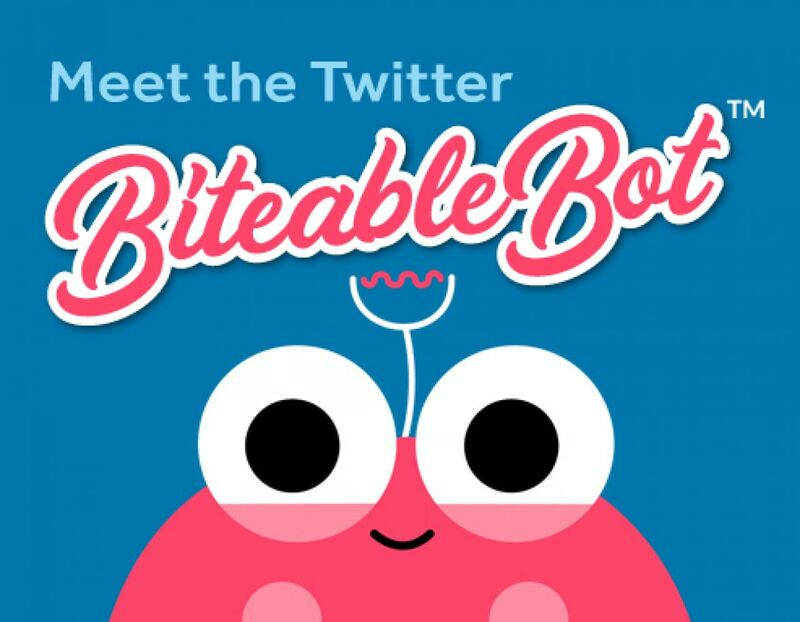 Mention @biteablebot, and hit Tweet. 2. Go to Tweets and replies to see how the video turned out. 3. It takes a minute for the video to be made, so give it a bit, then click anywhere on the tweet to see the replies. 5. Now hit the retweet button and mention your friend in the text. 6. When your friend checks their Mentions, they’ll see your video message. And that’s it! It’s easy and fun, but we do urge you to use your new-found power for good. Or evil, whatever you like. We’re not your mom.